The versatility of the Caversham furniture range has all the options you need for a luxury and beautiful bathroom. 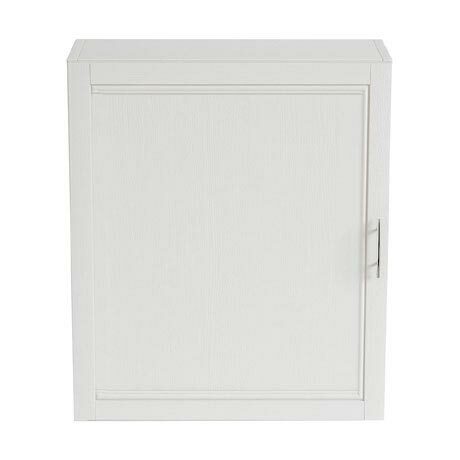 The Caversham 560mm Wall Cabinet features a soft closing door with a pewter handle. For personal preference, the door is supplied loose and can be fitted to open left or right. Available in Oak, White Ash, Graphite, Oyster or Dove Grey, there’s a dream combination to suit your requirements and taste. Main image shown in White Ash finish. Supplied with traditional pewter door handle.